‘SITUATION’ questions whether an installation can be both sculpture and garden and walks a line somewhere between the two. Using fundamental garden design principles it has a threshold, a sense of arrival and a sense of place and is essentially a series of garden rooms. It cannot be seen all at once and unfolds gradually so it also possesses mystery, surprise and intrigue. There are borrowed views, internal vistas and focal points, places to linger and of course ornamental planting. Yet ‘Situation’ is simultaneously a site specific sculpture. 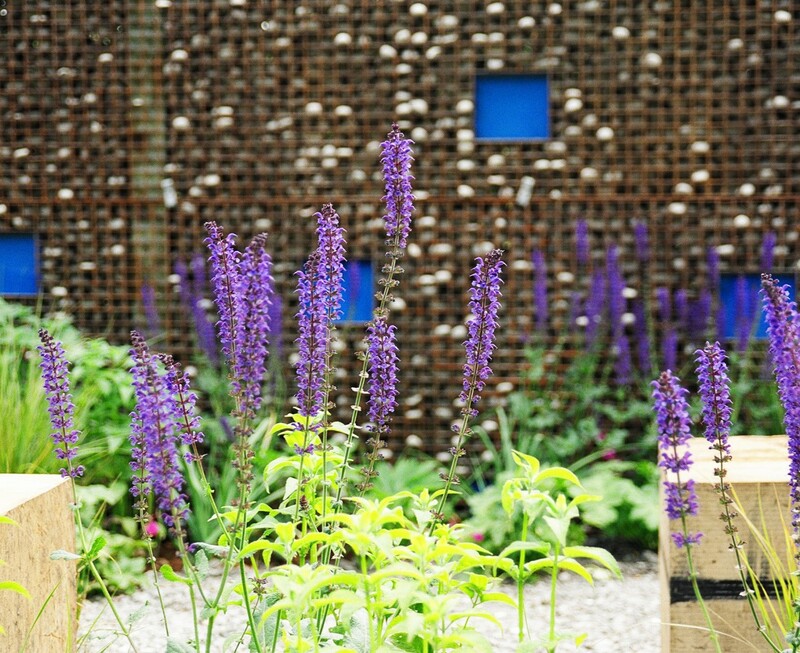 A metal grid offers a glimpse of the stony ground beneath the soil and these stones are extruded up into four perpendicular planes – the walls which shape the garden. These stones reflect the light and the perspex represents the summer sky. Trees make a connection with the arboretum, and gardenesque perennials morph into grasses which bleed into the surrounding grassland.